Acetyl-L-Carnitine is a modified amino acid that supports cellular energy production by assisting in the transport of fat into the mitochondria where it is oxidized and converted into ATP (chemical energy for the cell). 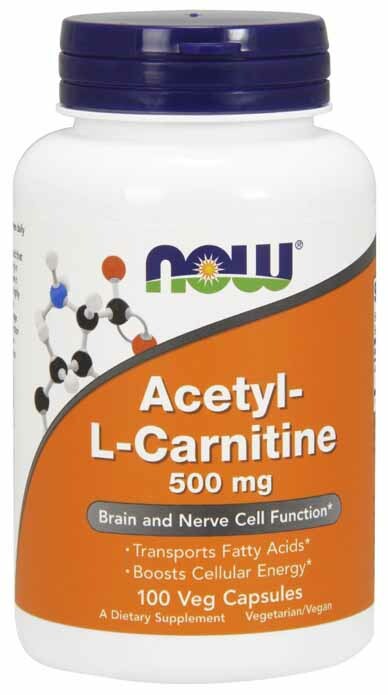 Acetyl L-Carnitine is a highly bioavailable form of L-Carnitine that can cross the blood-brain barrier, where it exerts an antioxidant effect, helps to maintain healthy cellular energy metabolism and supports brain function. As a dietary supplement, take 1 Vcap 1 to 3 times daily as needed. Cellulose (capsule), Cellulose, Stearic Acid (vegetable source) and Magnesium Stearate (vegetable source). Vegetarian/Vegan Product.